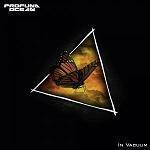 More information: Profuna Ocean is an alternative progrock band from the Netherlands, founded in 2008. With their sequences of thought out compositions, vivacious melodies and powerful rock sounds their music seems to be constantly working toward some kind of musical trip and introduces the listener to the world of Profuna Ocean. In 2009 the band released their first album Watching The Closing Sky, which received international attention. In the next period the band worked on their live performance with a number of shows on many different stages and shared the stage with bands like Focus, Knight Area and Racoon. In 2013 Profuna Ocean won the award for “best progressive rock band of The Netherlands” (Dutch Exposure Project) with their song 'Waiting For The Fall'.